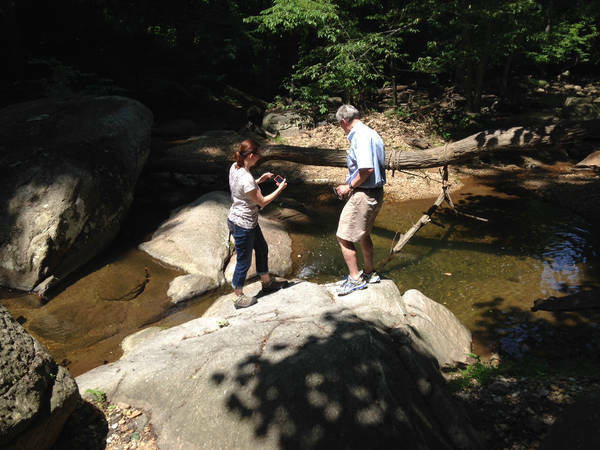 In 2014 Rockburn Institute partnered with Patapsco Heritage Greenway Inc. (PHG) for a project sponsored and largely funded by Howard County’s Watershed Initiative. We created an easy to use, web-based data collection system for PHG’s extensive team of stream watch volunteers. Previously, volunteer registration and stream monitoring reports were done on printed forms that had to be mailed, hand delivered, or scanned and emailed. Now, volunteers can go in the field with their own hand-held device and report their findings live via PHG’s website. Data is automatically incorporated in a new PHG database we developed that eliminates the need for PHG staff members to enter the data when time allows. We also re-created their activity calendar for better updating and ease-of-use. Rockburn Institute was pleased to bring their knowledge and experience with data analytics, web-based forms, and databases into service for PHG.